In the not-too-distant future, we'll be plugging our brains into the internet, replacing our worn-out body parts, and eating meat grown in a lab. If we're lucky, we'll be living in a world of more productivity, more energy, and more equalityand if we're not, we'll be facing the profound threat of nonexistent privacy, ecological collapse, and nuclear proliferation. 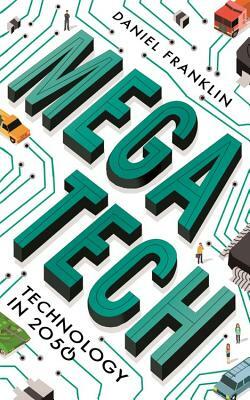 Of course, we can't know the future, but Megatech: Technology in 2050 is a mind-clearing guide to the possibilities. In this bold new book, Daniel Franklin brings together today's most innovative scientists, leaders, thinkers, and writers to imagine how future technology will develop and shape our lives. Nobel Laureate Frank Wilczek expects a rapid acceleration of scientific discovery, and Melinda Gates envisions a smartphone in the hand of every woman. Meanwhile, Benjamin Sutherland warns of military robots, and Leo Mirani sees smart glasses on every person's face. The result is a thought-provoking collection of insight and imagination that will inspire us to make the most of future opportunities just as it motivates us to tackle the environmental, economic, and social challenges ahead. Daniel Franklin is the executive editor of the Economist and editor of the Economist's annual publication, The World in, which focuses on the years ahead. Since joining the Economist in 1983, he has written about Soviet and East European affairs, covered great European upheavalsfrom the collapse of communism to the signing of the Maastricht Treatyand been Britain Editor and later Washington Bureau Chief in the US. He is the co-editor of Megachange (Economist Books, 2012).